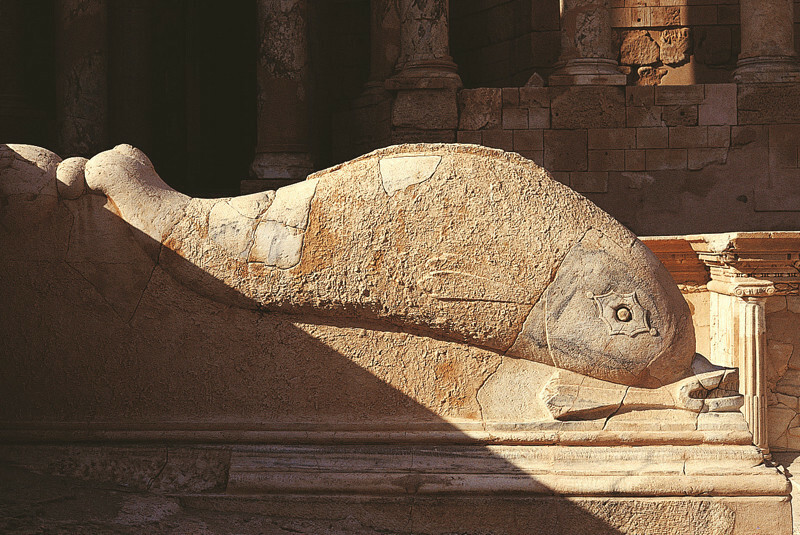 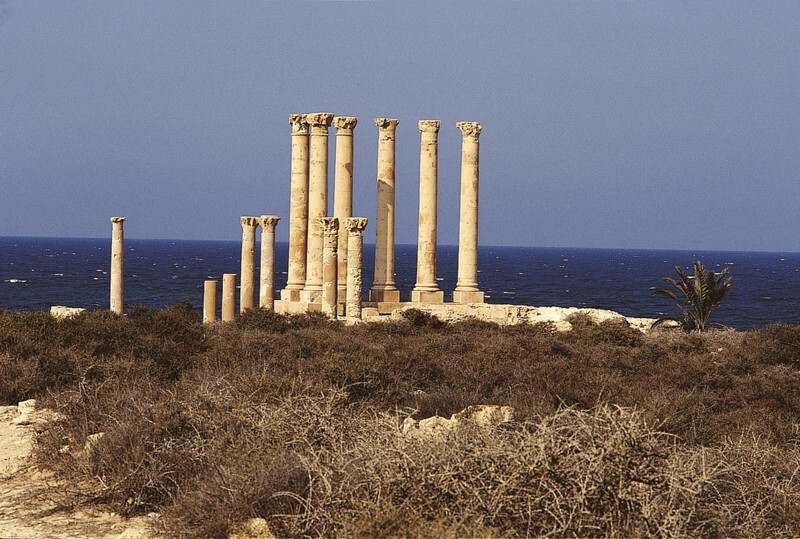 Sabratha's port was established, perhaps about 500 BC, as a Phoenician trading-post that served as a coastal outlet for the products of the African hinterland. 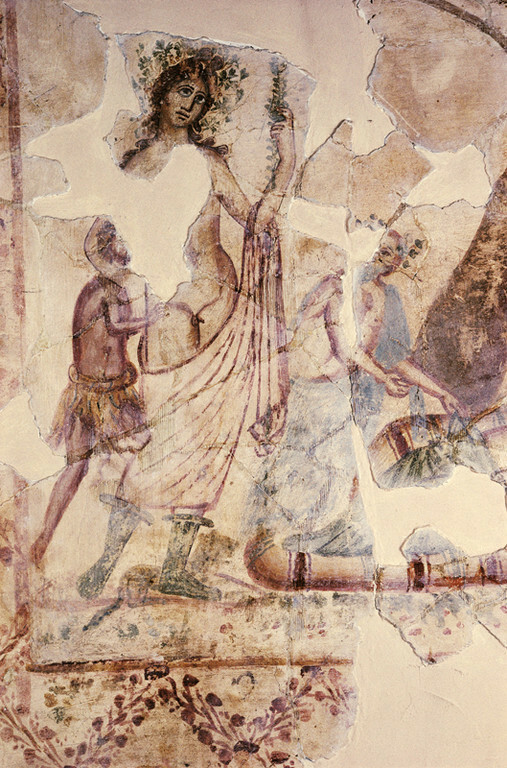 The Phoenicians gave it the Lybico-Berber name 'Sbrt'n' which suggests that there may have been a native town built there prior to the Phoenicians' arrival. 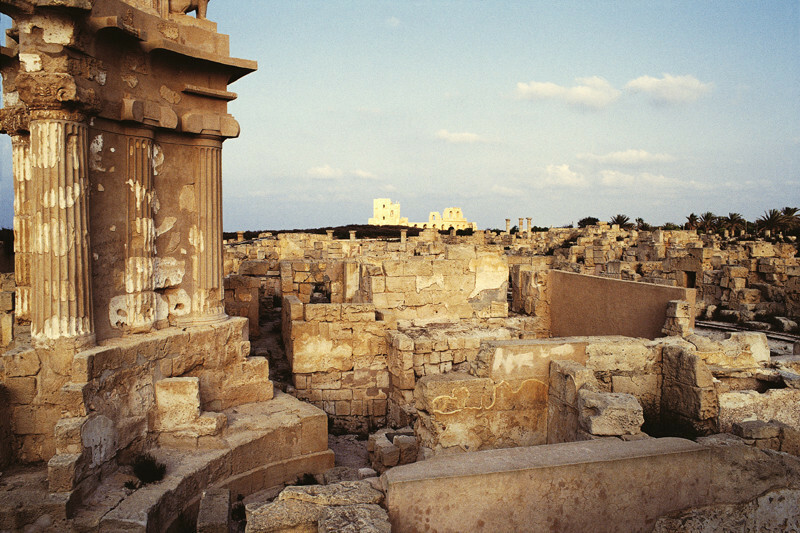 Sabratha became part of the short-lived Numidian Kingdom of Massinissa before being Romanized and rebuilt in the 2nd and 3rd centuries AD. 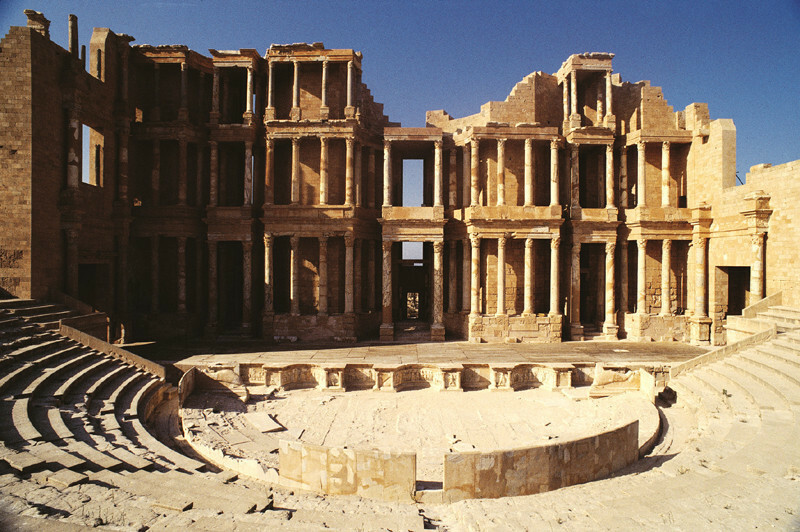 The Emperor Septimius Severus was born nearby in Leptis Magna, and Sabratha reached its monumental peak during the rule of the Severans. 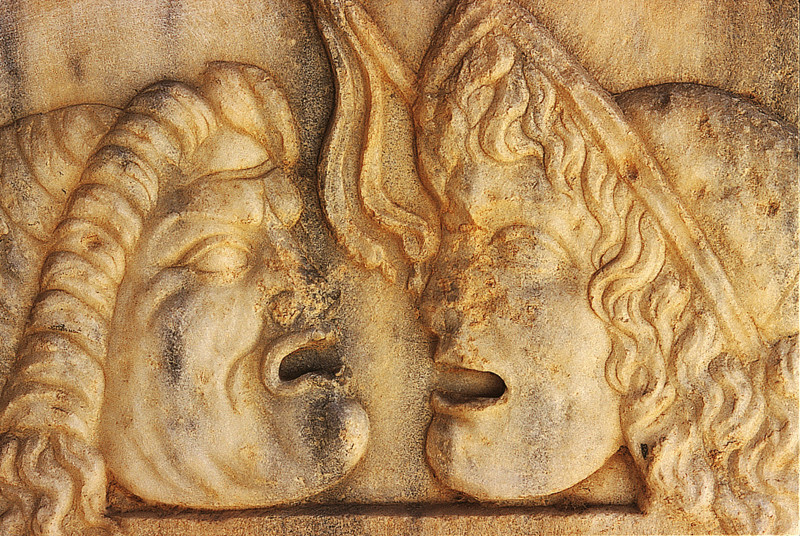 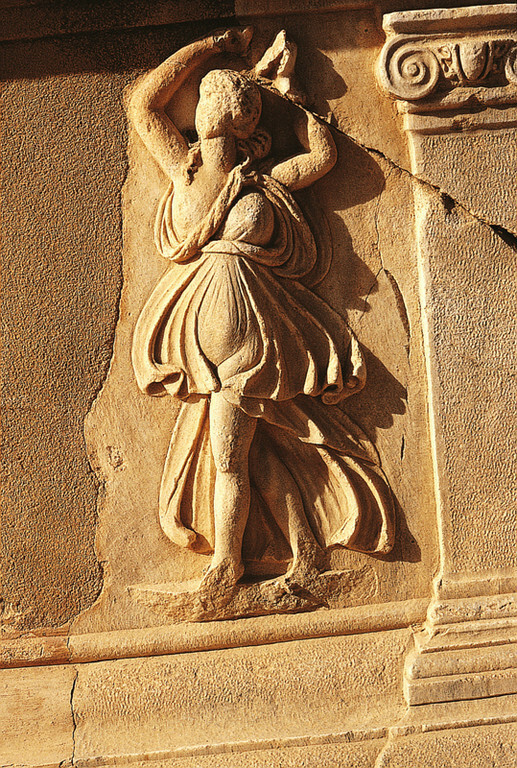 The city was badly damaged by earthquakes during the 4th century, particularly the quake of AD 365. 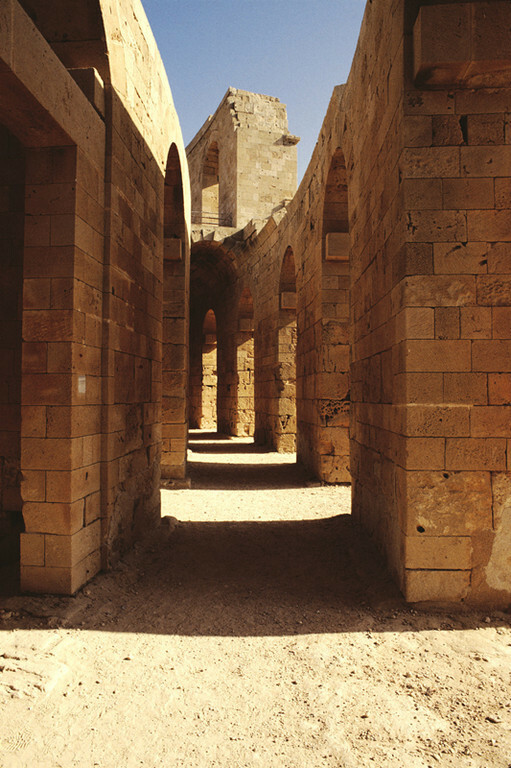 It was rebuilt on a more modest scale by Byzantine governors. 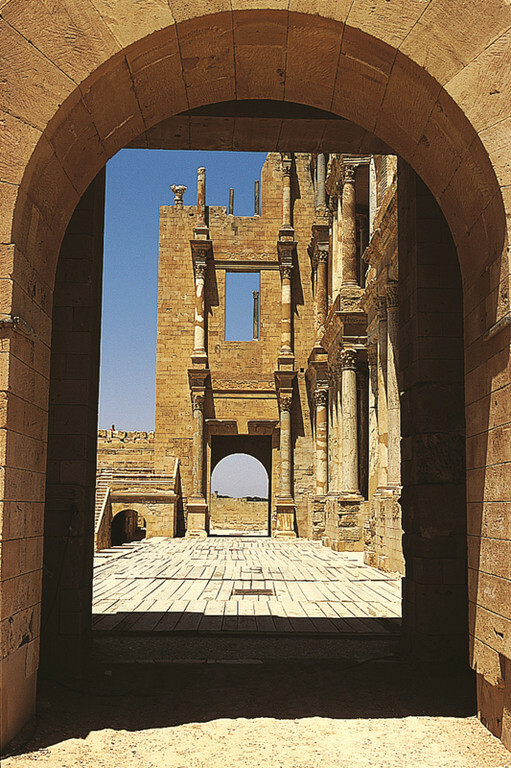 Within a hundred years of the Arab conquest of the Maghreb, trade had shifted to other ports and Sabratha dwindled to a village. 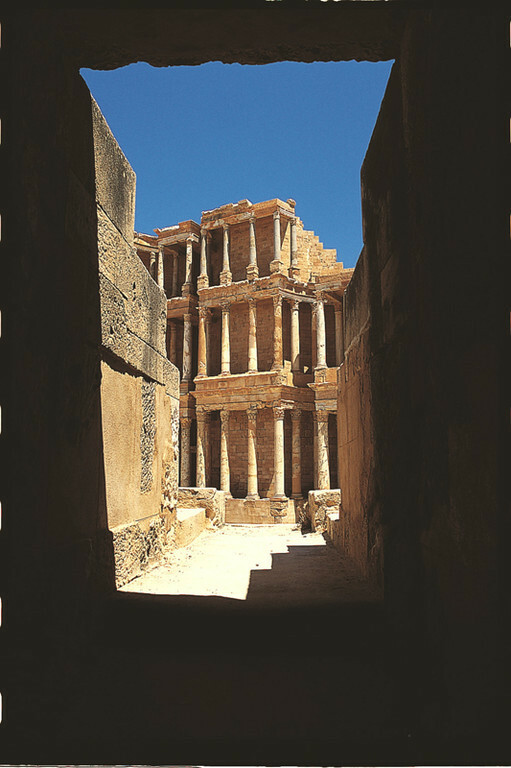 Besides its magnificent late 3rd century theatre that retains its three-storey architectural backdrop, Sabratha has temples dedicated to Liber Pater, Serapis and Isis. 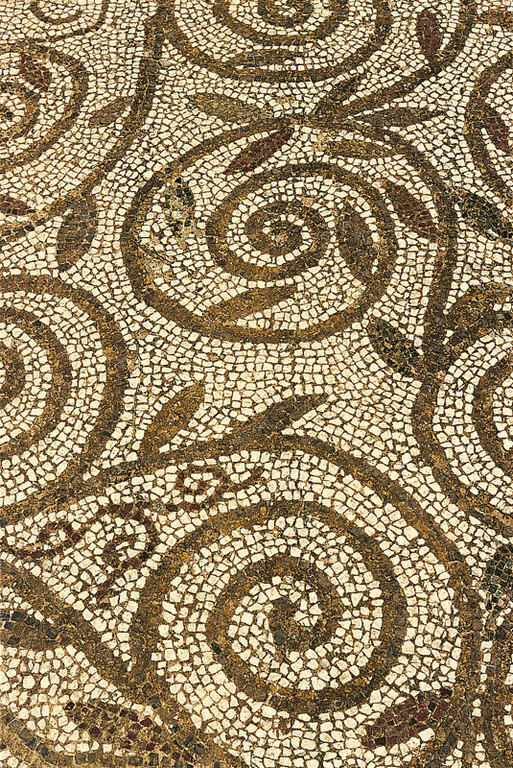 There is a Christian basilica of the time of Justinian and also remnants of some of the mosaic floors that enriched elite dwellings of Roman North Africa (for example, at the Villa Sileen, near Khoms). 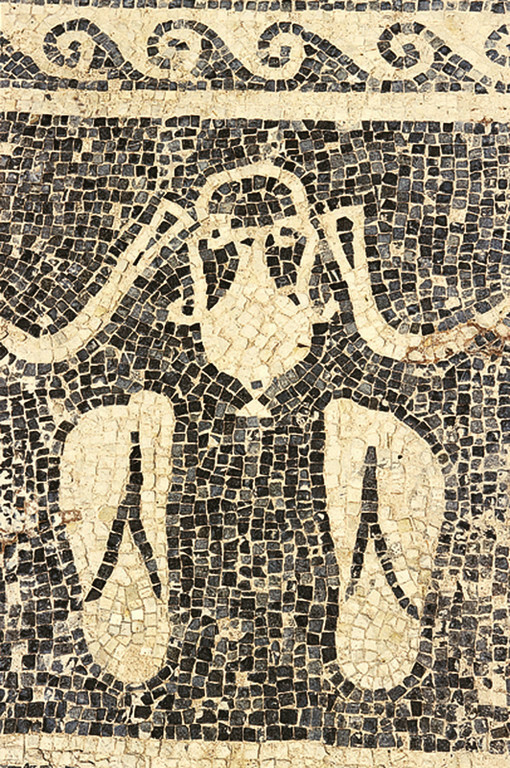 However, these are most clearly preserved in the coloured patterns of the seaward (or Forum) baths, directly overlooking the shore, and in the black and white floors of the Theatre baths. 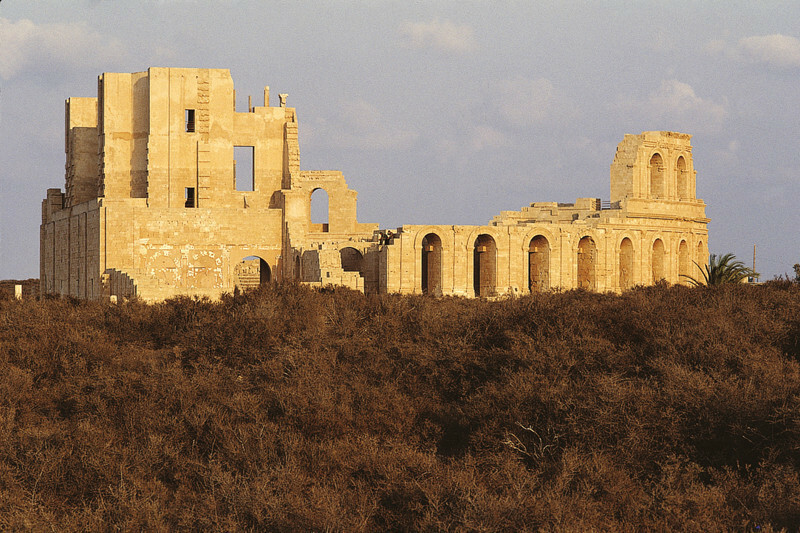 In 1943, during the Second World War, archaeologist Max Mallowan, husband of novelist Agatha Christie, was based at Sabratha as an assistant to the Senior Civil Affairs Officer of the Western Province of Tripolitania. 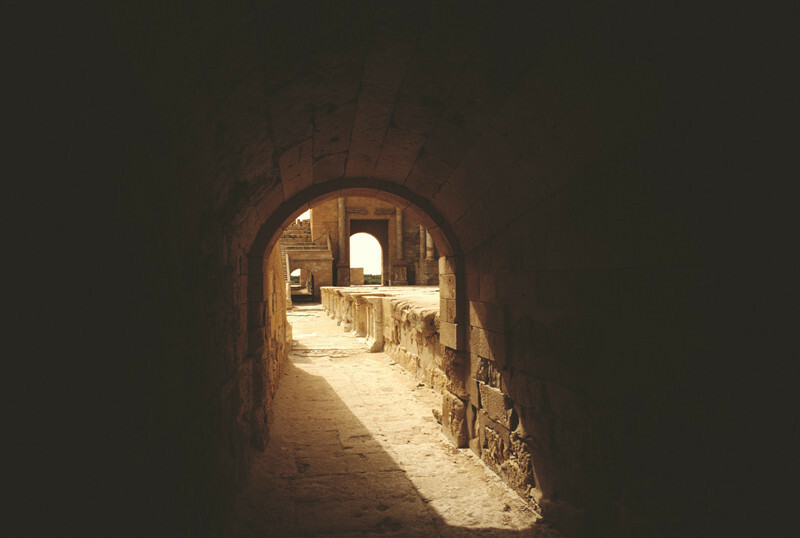 His main task was to oversee the allocation of grain rations, but it was, in the words of Christie's biographer, a "glorious attachment", during which Mallowan lived in an Italian villa with a patio overlooking the sea and dined on fresh tunny fish and olives.